. Ideal Grundriss für mehrere Familien verfügt über: (2) König Master-Suiten (1) Queen Zimmer (1) Große 'Kids Paradise "Bunk Zimmer mit zwei Einzel über Doppelstockbetten, die Platz für sechs Personen. Mit Designer-Berg Dekor finden Sie alle Annehmlichkeiten eines Resorts, einschließlich WIFI haben. Unsere beiden großen Decks sind ideal für den Fang von Sonnenuntergängen oder Grillen und Essen gehen. · Genießen Sie unsere Privathaus, wie es bei Ihnen waren. Wir sind stolz auf halten ein gut Hause mit allen Upgrades gepflegt. Unsere private End-of-Straße Ort komplett mit Rodelhang ist ideal für die Kinder, während Sie von innen durch den Kamin cozied up. Die geräumige Küche mit Barbereich bietet Blick während der Vorbereitung Ihrer Mahlzeiten und das angrenzende Essbereich für acht Personen. Das große Schlafzimmer im Obergeschoss Suite verfügt über erstaunliche offenen Raum Aussicht, komplett mit Schreibtisch und Französisch Türen zu einem Deck. Meister hat auch Jet Jacuzzi-Bad, große begehbare Doppeldusche aand große benutzerdefinierte begehbaren Kleiderschrank. · Genießen Sie die exklusiven Annehmlichkeiten der Arrowhead Village auf Beaver Creek Mountain. Sie haben Zugang zu einer privaten Gemeinschaft Whirlpool nur 40 Schritte entfernt und ein ganzjährig beheizten Außenpool und einen Whirlpool im Arrowhead Village Grundfläche. Arrowhead ist nur wenige Minuten von den besten Restaurants und Einkaufsmöglichkeiten des Tals, Weltklasse-Skifahren, Schneeschuhwandern, Rodeln und Schläuche. Wonderful spot for a family vacation! This beautiful home is spacious, airy, comfortable, and very welcoming. We felt right at home! 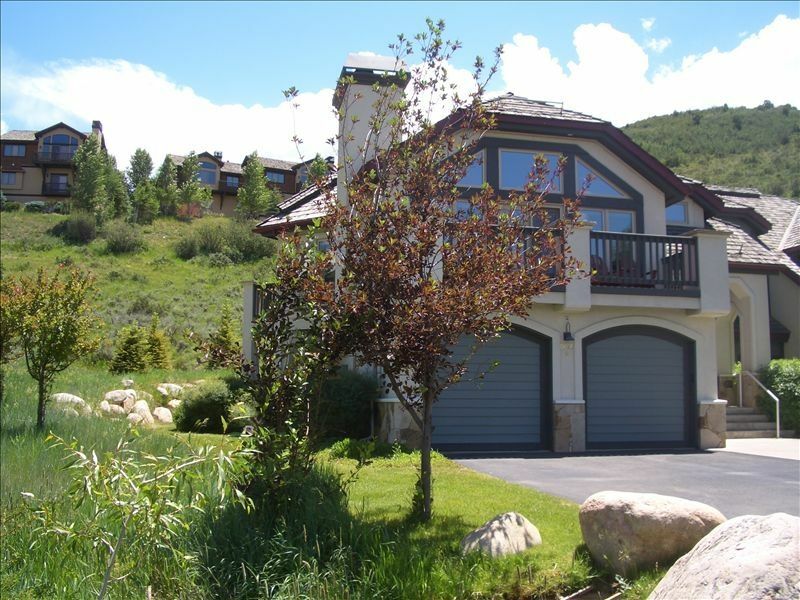 This home is very clean, well appointed, and conveniently located to amenities and the ski slopes. It is very comfortable and has a lovely flow. It is clear that the owner’s care about this property and have put a lot of time and effort in making it relaxing and pleasant. They have also thought of everything — the kitchen has all the basics that one could need, the bathrooms are well-appointed, and the bedrooms are spacious and cozy. It is a home we fell in love with and hope to visit again and again!! The owners were lovely to work with and everything was smooth and organized. Loved it! Great trip with friends and family. We found this home to be extremely comfortable and spacious. The rooms including the bedrooms are larger than what you find in most vacation home. We had a group of young boys in our party and the bunk room worked out great. The house has lots of natural light from the many windows on the main level which provide a wonderful view of the surrounding mountains. The two car garage came in handy. The shuttle to the Arrowbahn lift was easy and convenient to use. The kitchen is very well equipped and well laid out. Used the outdoor grill a few times also. All in all we really enjoyed the time and would highly recommend this home for a ski or summer vacation. This property was excellent. All the amenities in the house were first class. Everything worked well. Little extras like toys and balls in the garage for the kids was super. Great location close to so many things. Nice community pool close by. Great grill hooked to gas line which is a plus. We even saw some wild life on the hill behind the house, deer and fox plus plenty of birds. A+ ! Great location. Good house for families. We assumed the home had air conditioning, but we are midwesterners! The kitchen was well equipped and the deck had a nice grill. Lots of towels and bath products available.